Koh Yao Noi and Koh Yao Yai are two of the Andaman Sea’s most pristine islands and much less developed. Our Koh Yao guide gives you the low down. Koh Yao isn’t an island itself, but refers to two islands, Koh Yao Noi and Koh Yao Yai, which are located halfway between Krabi and Phuket in Phang Nga Bay. 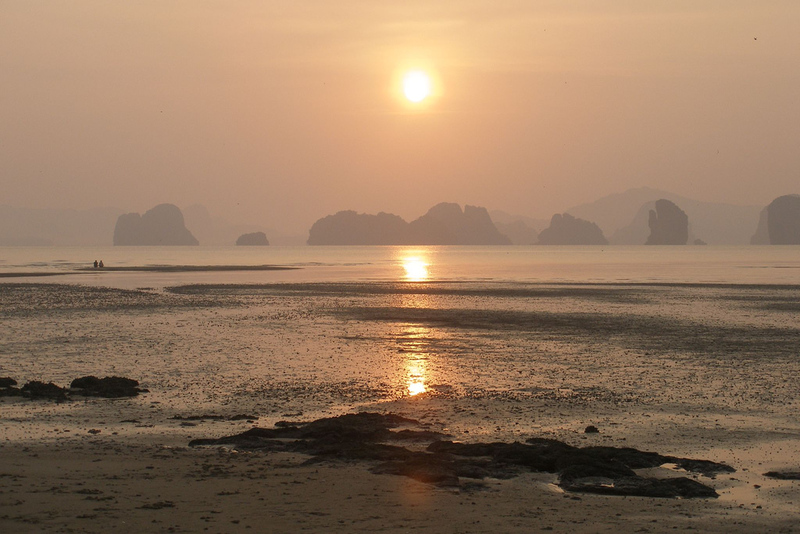 Koh Yao Yai is the bigger of the two islands, with little tourism-related development. Koh Yao Noi is the smaller and far more popular of the two islands, with a great selection of resorts, tour operators and restaurants. Due to the limited level of development on Koh Yao, these two islands offer a quieter island experience than nearby Phuket and Krabi. If you’re searching for natural beauty, untouched beaches and a quiet, natural environment, Koh Yao is a fantastic choice. Koh Yao is easily accessible by boat from Phuket, Krabi and Phang Nga. On the way to the island, you’ll pass some of Phang Nga Bay’s incredible limestone karsts. Klong Jark Beach is Koh Yao’s longest and arguably best beach. 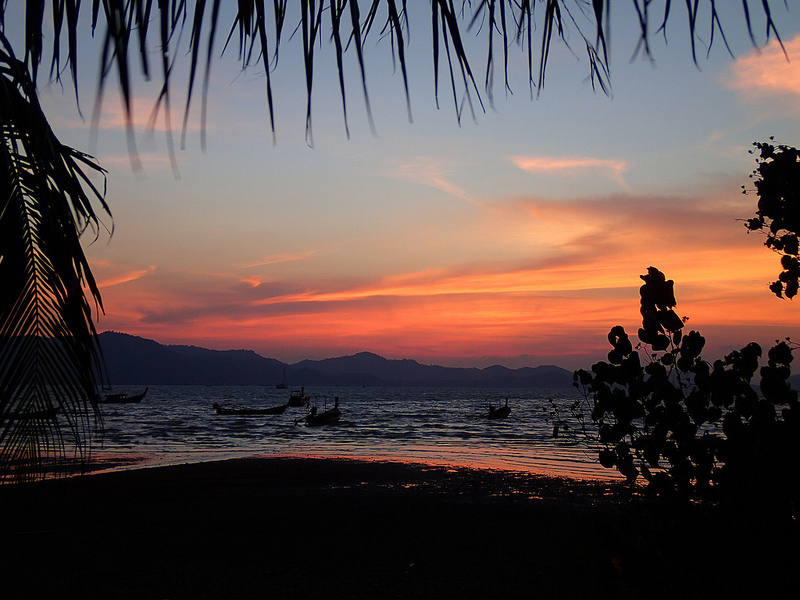 Split into three sections, it’s where you’ll find several of Koh Yao’s most popular resorts. The south part of the beach is the most popular, the centre rarely crowded and the north a private area for luxury resort guests. Note that most of Koh Yao’s beaches can get quite muddy as the tide goes out, making them unsuitable for swimming. If you’re planning a day at the beach, check Phuket’s tides online to make sure you don’t visit when the tide is out. 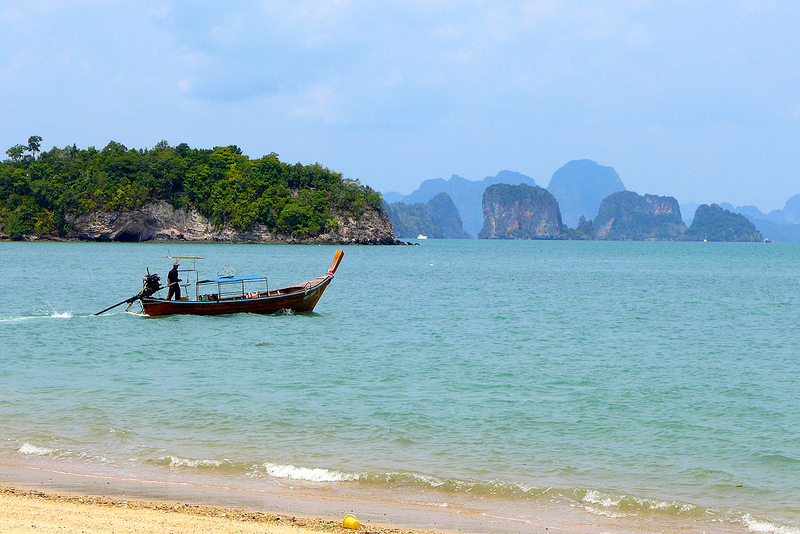 Pasai Beach is a quiet beach offering fantastic views over the limestone karsts of Phang Nga Bay. Laid back and peaceful, Pasai Beach is home to several shacks with Thai food vendors, as well as Thai massage tables, making it a great place to relax and enjoy the beach. Largely deserted, Tha Khao Bay is a completely untouched beach near Thai Khao pier that’s one of Koh Yao Noi’s quietest locations. Aside from a few longtail boats and a couple of small resorts, Tha Khao Bay is an almost completely natural environment untouched by humanity. Koh Yao Noi Town is the commercial and administrative centre of Koh Yao. Although it’s far from what you’ll find built around Phuket or Krabi’s most popular beaches, this small town has a 7/11, ATM and other useful facilities for tourists. The larger and less developed of the two islands, Koh Yao Yai offers a selection of untouched and almost deserted beaches. Loh Paret Beach is where you’ll find Koh Yao Yai’s resorts and restaurants. Unlike Phuket or Krabi, which are full of attractions, Koh Yao’s biggest selling point is its lack of things to do. All of the island’s three main beaches, as well as the smaller beaches close to many resorts, are perfect for sunbathing, relaxing with a good book and just enjoying life. Koh Yao’s clear water and relaxed seas make it a great place for snorkelling off the beach, especially when the tide is out. For an even better snorkelling experience, charter a longtail boat to Koh Pak Bia, which has some of the best coral in the area. There are several dive centres on Koh Yao, although none of the big diving schools you can find in Phuket. Chartered diving tours to sites in Phang Nga, Krabi and Phuket are available, as are PADI instructional courses. Koh Yao Noi’s quiet roads — there’s only one road around the island, which loops around the island close to the resorts and restaurants — making the island a great place to explore on a motorbike. Rental bikes are available from most resorts and for 200 to 300 baht per day. Relatively flat, at least when compared to other Thai islands, Koh Yao Noi’s easy terrain is great for cyclists. Mountain bikes are available for rent from many resorts. If you’re planning to explore the island on a bicycle, make sure you wear sunscreen and bring plenty of water. The best maps of Koh Yao Noi and Koh Yao Yai is at KohYaoHotel.com, which also has further suggestions for activities and things to do. One of Southern Thailand’s most luxurious hotels, Six Senses Yao Noi offers a selection of private pool villas for guests. Guests at the hotel have access to their own private section of Klong Jark Beach in addition to a spa and several dining options. Located on Koh Yao Yai, Santhiya Koh Yao Yai Resort and Spa is a beautiful five star hotel with a selection of large rooms and private villas. The luxurious rooms offer amazing views over Phang Nga Bay. Located on the northern tip of Koh Yao Noi, Paradise @ Koh Yao Resort is a peaceful luxury resort offering a selection of private rooms, bungalows and hilltop villas. Many rooms include private plunge pools and villas, as well as access to the resort’s private beach. Villaguna Residence & Hotel is a comfortable four star resort overlooking the Phang Nga Bay Marine Park. Spacious suites and direct access to the beach make this one of Koh Yao Noi’s best mid range hotels. With a large beachfront swimming pool and a selection of comfortable bungalows and private villas, Koh Yao Yai village is a convenient and relaxing four star hotel on the quieter and less populated Koh Yao Yai. Located on the east coast of quiet and peaceful Koh Yao Yai, Thiwson Beach Resort is one of the best mid range resort choices in Phang Nga. An outdoor swimming pool and quiet garden setting make this a great place for relaxation. Quiet, inexpensive and conveniently located beside the water, Tukonnee Villas offers a great selection of comfortable bungalows and villas. Although it’s located close to the sea, the hotel is a short walk away from Koh Yao Noi’s best beaches. Perched on a hill overlooking Phang Nga Bay, Sabai Corner Bungalows offers comfortable and affordable bungalows for solo travellers, couples and families. Rooms are simple and minimalistic, but comfortable enough for the beautiful surroundings. Simply furnished fan bungalows and great views of Phang Nga Bay make Pasai Beach Lodge a good budget choice for guests staying on Koh Yao Noi. Surrounded by local farmland and a quiet and deserted beach, this comfortable budget resort offers a great peaceful location. Excellent steaks, lobster and seafood dishes make Je T’aime one of the best places on Koh Yao Noi for a satisfying Thai or French meal. Located alongside Koh Yao Noi’s loop road, Kaya serves a great selection of Thai dishes and desserts, including excellent fresh seafood. Tasty Thai comfort food and great drinks make Baan Chang Restaurant a fantastic choice for an affordable lunch or dinner on Koh Yao Noi. 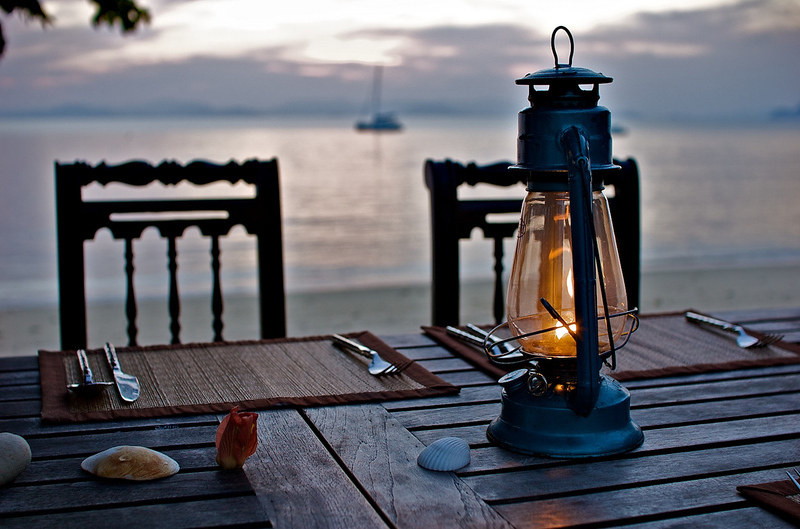 Located close to Lom Lae Beach, La Sala serves an excellent selection of classic Thai dishes and fresh seafood. Equal parts Thai restaurant and dessert parlour, Rice Paddy serves a menu that’s made up of well known Thai dishes and sweet, tasty desserts. Located right in the middle of Pasai Beach, Pasai Seafood offers a selection of freshly caught seafood as well as a good choice of lunch and breakfast dishes. The nearest airports to Koh Yao are Phuket International Airport and Krabi International Airport. 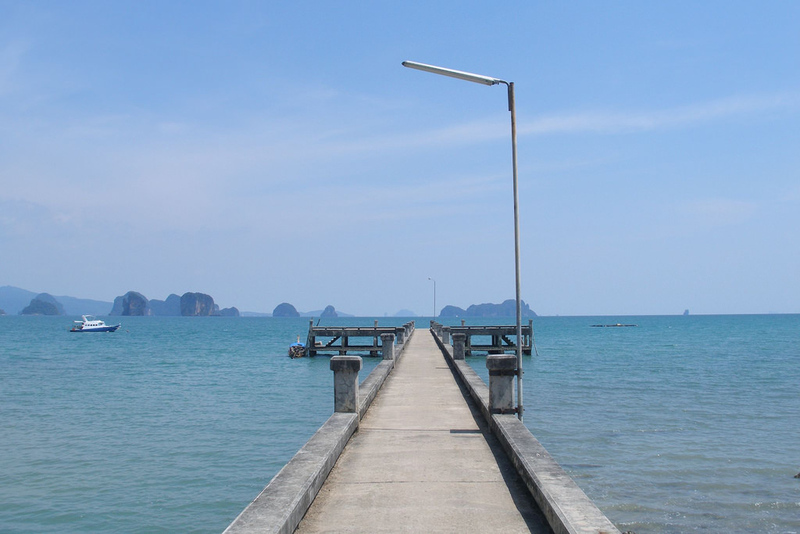 Bus and boat connections to Koh Yao are available from both locations. Koh Yao is located halfway between Phuket and Krabi in Phang Nga Bay, making it easy to access from either direction. Boats to Koh Yao depart from Phuket, Krabi and Phang Nga on a frequent basis, making it easy to travel to either major island. Boats from Phuket to Koh Yao Yai depart from Bang Rong Pier every 90 minutes from 9:30 am until 12:30 pm, and then at 2:30, 4:00 and 5 pm. Boats to Koh Yao Noi depart Phuket at 6:30, 7:15, 7:30, 9:00, 10:10 and 11:30 am, as well as 1:30 pm, 2:00, 3:00, 4:00 and 4:40 pm. Ferries also travel between Phuket and Koh Yao from Phuket’s Chianwanich Pier, albeit on a less frequent schedule. Speedboats and longtail boats depart from Krabi’s Thalen Pier to Koh Yao Noi at 9 am, 10:00, 11:00, 1 pm, 3:00, 4:00, 5:00 and 5:30 pm. There is also a once-daily ferry from Tha Dan Pier in Phang Nga to Koh Yao Noi, which leaves at 1 pm on all days except Sunday. The nearest airports to Koh Yao are Phuket International Airport and Krabi International Airports. Check Skyscanner to compare airlines for the best prices and flight times.